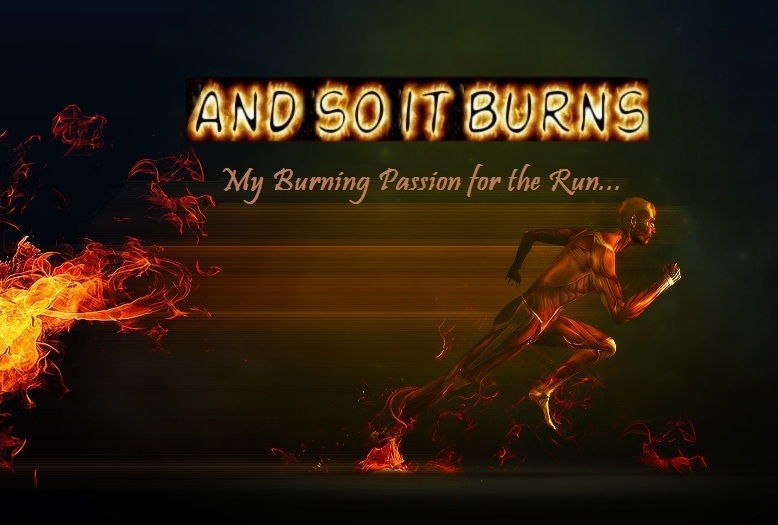 And So it Burns...: Best Week Ever!! I had one of the best weeks in my life this past week. I had some good surprises and some very good runs. The week started out with a planned 5 mile run on Monday morning that turned into a 10 miler. It was just one of those days where everything just felt right and I had the time so I just kept going. It was a great way to start the week. Tuesday night, after a 3 week absence due to work, I made it out to our Tuesday night Pub Run for a good 5 mile run then a couple drinks with some good friends. Had a great time! 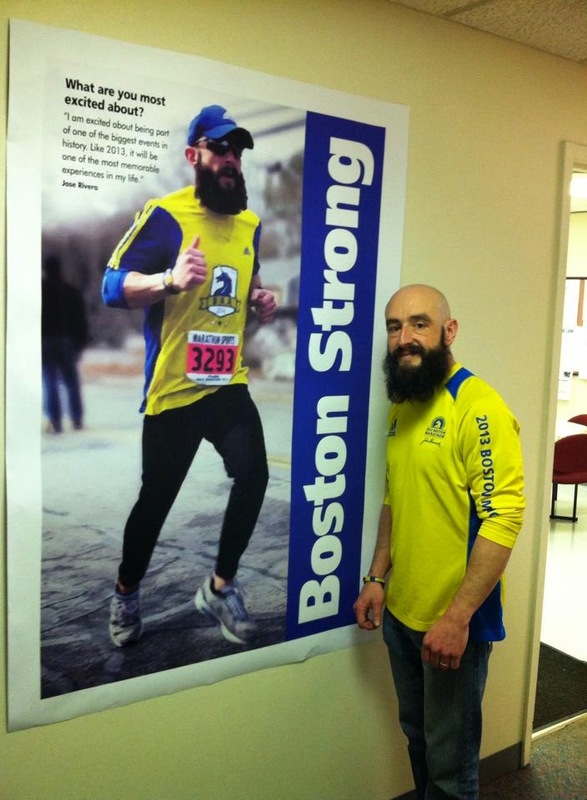 Last week, while traveling for work, Level Renner had asked for an update on my training so that they could update their article on our Boston Marathon training. I wasn't really happy with the update I sent them. I was busy with work, so I did what I could do and sent it out. Thursday morning was our usual 5 @ 5 (5 miles at 5 am) with the club. Woke up a bit late, but made it just on time. Later on that day Level Renner posted the article and to my surprise my friend Joanna had contacted them to add a little something to this article. I was blown away by what she wrote. Read the article - HERE. I was touched by the kind words. Thank you soo much Joanna and Tri-State Running!!!! I'm truly blessed to have friends like you. 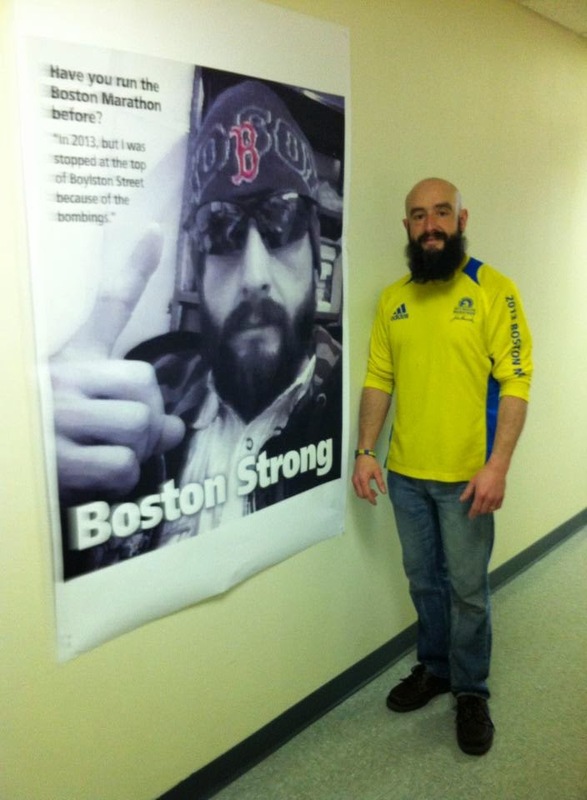 They want to get the company excited about having one of their own running Boston this year. So they "borrowed" pictures from my Facebook & Instagram account and made this huge posters and hung them throughout the building. How freaking cool is this??!! They even have foot prints along the stairs and each one has a special message from my coworkers. As they gave me a tour of their work, I was trying the hardest not to start crying. Honest to God, it was tough not too. My throat hurt so bad. This has be to up there as one of the nicest thing anyone has ever done for me. It was totally unexpected. I truly feel loved and appreciated by all my coworkers. I feel like this is all a dream. Saturday was our club Rehearsal run. 21 miles on the Boston course. From Hopkinton to Boston College. The club rented a school bus to take us to the start and then pick us up at the finish. 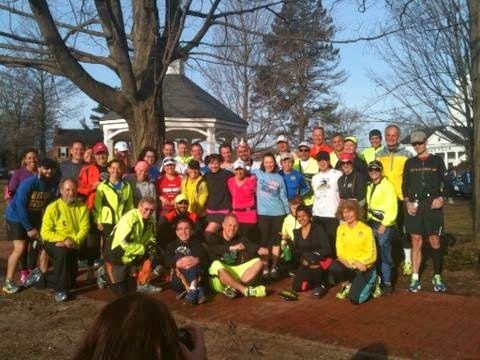 This is the last long run before Boston, so there thousands of runners out there getting their miles in. The roads are open but at busy intersection, they have cop details holding traffic for us. Its very cool they do that for us. And like the actual race, they have water stops and potta pottys throughout the course. I carried this week's good karma right into my run Saturday. I ran a comfortable 8:30min pace and finished strong at 3hrs on the dot! I felt good from start to finish. This was good indication on how well I will run come marathon day. I met two Instragam friends before the run. 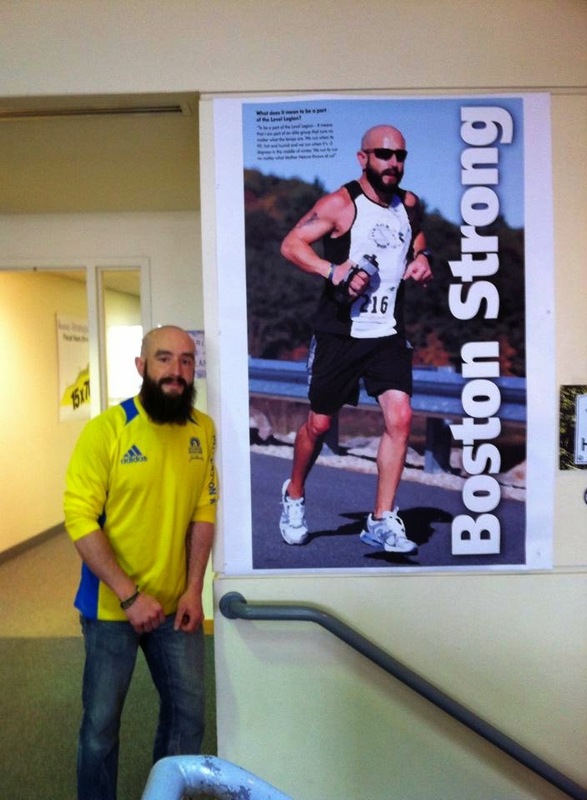 I saw many people I know throughout the course and I even heard someone yell out "Beard to Boston" around mile 15. Didn't know who it was though. Thank you for that whoever you were!!! This was a very emotional week me. It's not too often you get to find out how much you mean to others in your life. I never expected this kind of support. But it feels soo good to have it. Thank you all!! Lastly, I'll leave you with this video that was released this week. Sums up how I feel right now..
What they did at your work - incredibly cool! How awesome Jose! What your co-workers did was just amazing! How freaking AWESOME! So excited for you! That is the coolest thing EVER!!! I was actually tearing up a bit with the footprints and messages. The posters are just awesome! You have some amazing co-workers you should feel very fortunate! !